Singapore-based online back up specialist Dropmysite, the company behind back-up services Dropmysite and Dropmyemail, has announced the acquisition of US-based Orbitfiles in a move that will significantly boost its user numbers and hone its focus on the North American market. 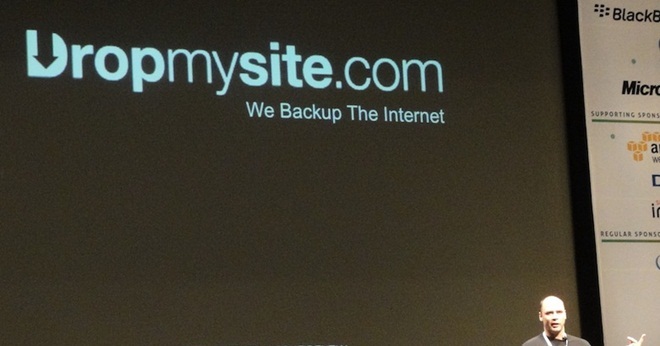 No price has been announced and full details of the deal to buy the cloud backup and sharing site have not been disclosed, but Dropmysite says that it will add the service’s database of 235,000 signups and “wealth of experience” to its existing service. The company’s main service is website back-up service, however its offshoot service for email — DropMyEmail — has become its most popular, grabbing 632,000 sign-ups since March 2012, compared to DropMySite’s 500,000 registrations. By incorporating OrbitFiles.com, Dropmysite will not only continue but also improve on what made OrbitFiles.com successful in the first place. OrbitFiles.com’s users were promised easy and simple backup functions that they are accustomed to by downloading different backup programs. Dropmysite will be able to seamlessly replace that with its 2-click backup process, but without an additional program to download. Dropmysite is particularly strong in Asia — where India and Indonesia are its biggest markets — and it has a sizeable presence in Latin America. The firm is optimistic that, with OrbitFiles on board, it will gain further momentum to grow in the US and Canada. Equally, the company is aiming to visibility among long-time site and email back-up users, as former Google exec Vinoaj Vijeyakumaar, who is head of product development at Dropmysite, explains. Dropmysite is one of Singapore’s largest startups and, going on the announcement, it looks as though it will retain Orbitfiles’ US presence, giving it a fourth global presence, in addition to technical teams in India and Argentina. The Orbitfiles website is already redirecting to Dropmyemail. Update: Dropmysite CEO John Fearon has told us that the company is not aquiring employees as part of the deal, so this deal will not create a Dropmysite US office. Fearon did hint that the company may soon have a presence in North America and, now that it has boosted its users and visibility there, we suspect that we may a development in this area.